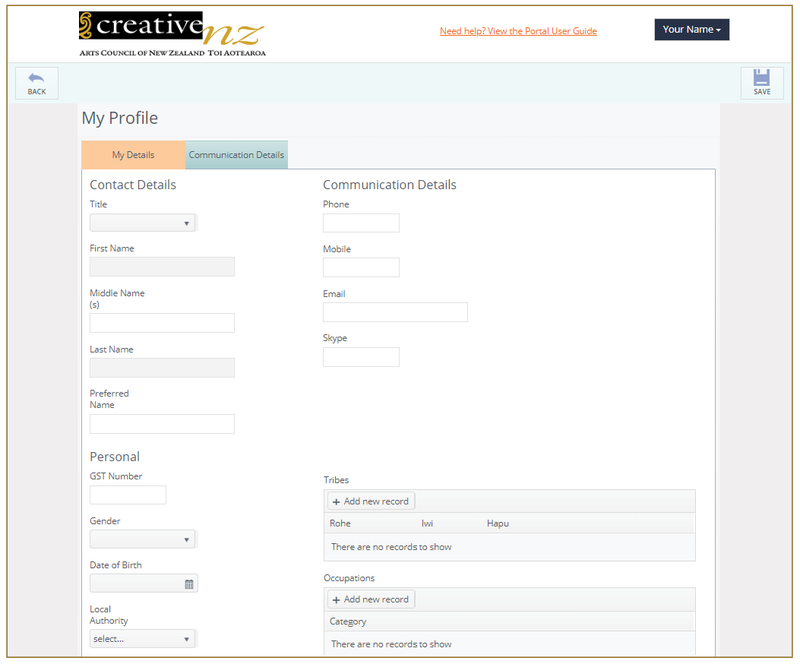 When you are logged in to the portal you can add and update your contact details. Click on your name in the top right-hand of the screen. Complete/update your information on the 'My Details' tab. Note: You cannot edit your First or Last Name. 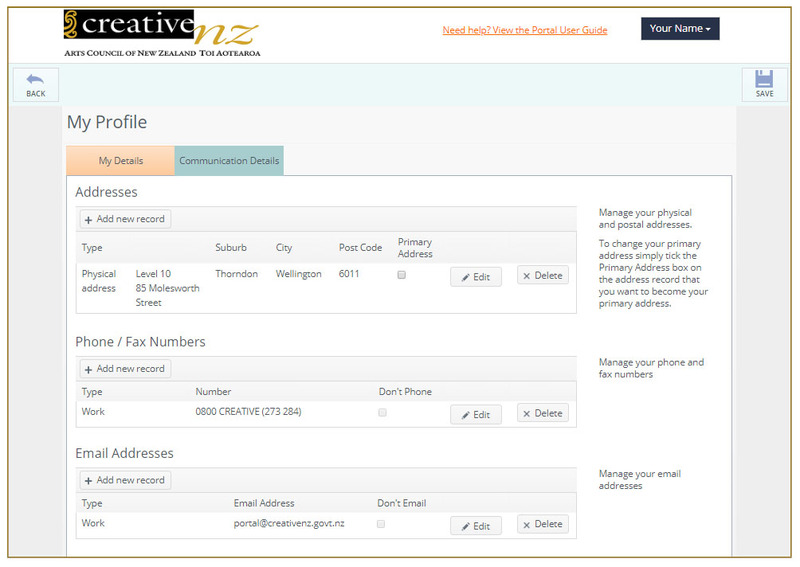 Contact Creative New Zealand if you need to change these details. Complete/update your information on the 'Communication Details' tab. You can add additional addresses, phone numbers and email addresses and choose which should be used as your primary contact information.